Why should you, SONY ALPHA, support this initiative? 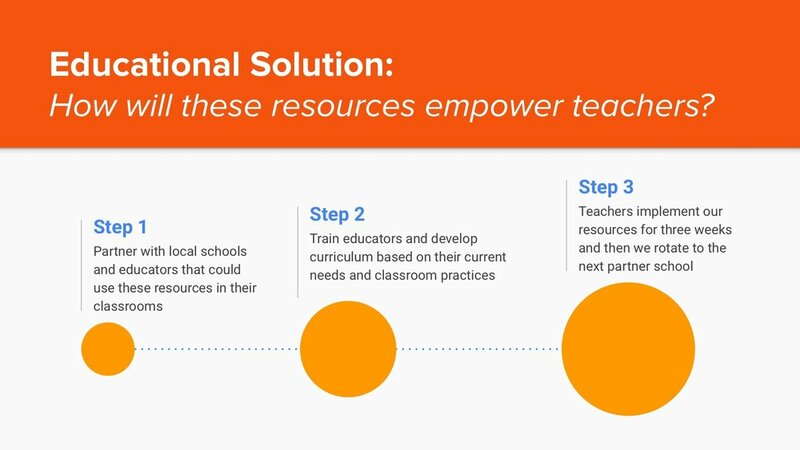 It is imperative that students and teachers are equipped we can get our hands on. Why? Because thats the kind of gear that leads to REAL inspiration which leads to growth and the student’s investing more into their craft and education. We are extremely picky about which companies we pursue support from because we want the perfect gear for our students and programs. Your Alpha division has been at the forefront of innovation and quality over the past few years. Thats two of our company’s cornerstone values and thats huge part of the reason we are wanting to partner with you as opposed to other camera companies. This is a great marketing opportunity for your company! It allows you to showcase your products in a way thats very unique. Your company will look great in the eyes of consumers because you are being philanthropic. People want to support companies like that. People tend to stick with the platform or brand they started out with. Essentially, this means that the overwhelming vast majority of students that continue as film makers or photographers will continue purchasing Sony gear to support their craft. This is a great longterm marketing investment. This will allow you to establish a strong presence in Chattanooga’s creative scene. There are tons of media and content creators in town making the switch to the Sony Alpha system. Your support of our programs will only further that shift. Additionally, Chattanooga is surrounded by several other big cities, which means that our city would be a great place to host Sony Alpha events and meet ups. We work with some of the best music makers and content creators in the business. You better believe that we will tell them all about Sony Alpha gear and how incredible your products are. Your company will be provided with a steady supply of media content featuring students, professional cinematographers, and professional photographers utilizing your equipment. This is marketing gold for your team!